The islands were first settled by Portuguese navigators in the late-15th century, and were formally annexed to the Portuguese crown 100 years later. They became a major transhipment centre for the slave trade until 1875 when slavery was abolished. Then a system of contract labour was introduced, which brought in people from other African countries to work on the plantations. There was, however, little improvement in the conditions of the black population and there were a number of rebellions against the Portuguese colonists over the years. It was not until 1975, following the fall of President Salazar in Portugal, that the nationalist movement, the Movimento de Libertação de São Tomé e Príncipe (MLSTP), finally forced the Portuguese government to grant it independence. 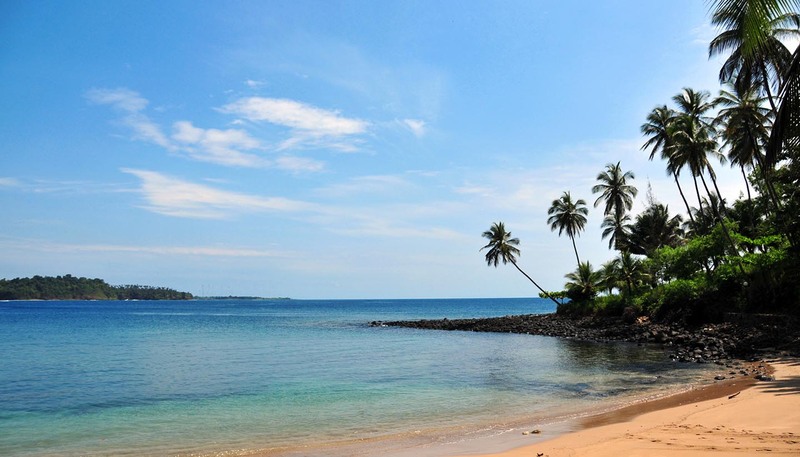 São Tomé e Príncipe maintains close links with other former Portuguese colonies and with Gabon, Cameroon and Equatorial Guinea on the neighbouring mainland. Until 1984 it was also unquestionably a Soviet satellite. However, later that year, President da Costa declared São Tomé e Príncipe to be non-aligned. Da Costa was subsequently involved in mediating the talks that brought the long-running civil war in Angola to a close. In 1997, largely for financial reasons, the Government reversed one of its traditional foreign policy positions by establishing diplomatic relations with Taiwan at the expense of those with the People's Republic of China. At home, a new constitution was introduced in March 1990 allowing for the formation of opposition parties and the conducting of multi-party elections. The crucial election that followed in 1991 was dominated by the struggle between the former ruling party, the MLSTP and the main opposition party, the Partido de Convergência Democratica  Grupo de Reflexão (PCD). On that occasion the PCD narrowly won control of both the presidency and the national assembly. The most recent presidential election in July 2001 brought a comfortable victory for independent candidate Fradique de Menzes while the national assembly, returned a coalition of the MLSTP and PCD, under the leadership of the MLSTP's Maria das Neves Ceita Basptista. Democratic politics have survived in São Tomé somewhat against the odds. There has been a steady stream of coup attempts, most recently during 2003 when rebels took control of the country for several days. The political and economic stakes have been much increased by the recent discovery of substantial oilfields in Sao Tome's territorial waters. Commercial drilling began in 2005 and the government has already benifitted from the considerable windfall. Menezes has promised to work at clearing the country's debts and then plans to invest in modernising the country's public services. Roman Catholic majority (70%), with a number of other Christian denominations also represented. The Portuguese influence is very strong. People are friendly and courteous. Every greeting is accompanied by a handshake. Normal social courtesies should be observed. Alcohol is available and smoking is acceptable. Photography: Visitors wishing to photograph local people should ask permission first. Portuguese is the official language. Creole is also spoken. Some English is spoken, but French is more common.